Want to know how to franchise your business, how to position your franchisees for success, and how to protect yourself from liability and loss? Our user-friendly and affordable franchise document packages and franchise consulting services have helped thousands of satisfied customers over our 7 years in business—and they can help you, too. The franchise process can be complex. Whether you're the kind of entrepreneur who likes the savings and satisfaction of doing it yourself or whether you'd rather not do the work and would prefer the extra assurance that comes with having your documents drawn up by experts, we have a best-fit solution. We know how to franchise your business—since 2006, we've done it for top franchise attorneys, franchise consultants, and hundreds of DIY franchisors across the U.S. as well as in Canada, the U.S. Virgin Islands, Puerto Rico, and Guam. 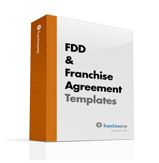 Our expertly written templates for franchise disclosure documents, franchise agreements, and franchise operations manuals make it easy and cost-effective to comply with regulations and start your relationship with your franchisees on a solid footing. When you purchase one of our packages, you'll have immediate access to the very same franchise resources that are licensed for and actively used by more than 200 top law firms in the U.S. and Canada and in all 14 registration states. We provide marketplace-proven documents. We've been providing franchisors like you with well-written, easy-to-use, and affordable documents for 7 years. Our documents have helped lay the foundation for thousands of successful franchises. 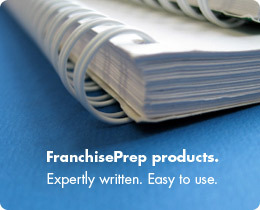 We hire experienced franchise attorneys to write and edit our documents. We combine up-to-the-minute industry knowledge with remarkably clear, concise, well-organized writing to produce thorough documents that protect your interests and help you communicate clearly with your franchisees. We design straightforward, simple-to-use products. With features like "guidance boxes”, Q&A lists to prompt your thinking about your franchise opportunity, and more, our documents provide detailed instructions that make it easy to correctly customize them for your business. 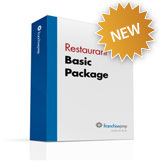 Ready to take the next step in knowing how to franchise your business? 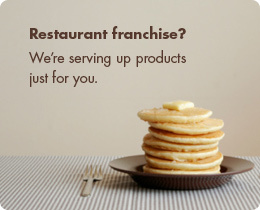 Talk with a FranchisePrep team member today or learn more about our service and retail franchise packages, our restaurant franchise packages, our franchise disclosure documents, or our franchise consulting services.